Since the ruling of the European Court of Justice, the right to be forgotten has provided more informational self-determination to users, whilst raising new questions around Google’s role as arbiter of online content and the power to rewrite history. We investigated the debate that unfolded on Twitter around the #righttobeforgotten through social network analysis. The results revealed that latent topics, namely Google’s role as authority, alternated in popularity with rising and fading flare topics. The public sphere, or Öffentlichkeit, that we observed resembles the traditional one, with elite players such as news portals, experts, and corporations participating, but it also differs significantly in terms of the underlying mechanisms and means of information diffusion. Experts are critical to comment, relay, and make sense of information. We discuss the implications for theories of the public sphere and examine why social media does not serve as a democratising tool for ordinary citizens. Digging Digital Humanities is a 5 year project that looks into the research habits of Digital Humanists. Members of the team have visited various DH Centers, such as those located at University College London, and Trinity College Dublin. During time spent at these institutions, the researchers investigated the ways in which members of the DH Centers functioned as a whole, and interacted with other departments at their institution. Interviews were conducted regarding a variety of subjects, from DH teaching and tools, to library related skills and social media use. The EDITS project is a two year SSHRC funded project investigating the way that seniors (aged 60+) interact with technologies in their daily lives. Using qualitative and quantitative approaches to research, the EDITS team looks at seniors’ use of e-books, social media, web tools, and mobile technology. For more information, see the EDITS website. This research will explore the awareness and use of Ebooks by both students and faculty in all areas of the humanities in order to gain an understanding of the impact that the academic library has on the technology adoption process. The final goal of this project is to create a change agent model (CAM) for technology adoption that could be used to provide important insights not only for researchers interested in theories of technology adoption and use, but for practitioners, information technology companies, policy makers, and university administrators, who make decisions about resource allocation, instruction, and tool development. A poster presentation outlining the first set of findings was created for the Western Research Day. Organizations involved: University of Western Ontario. This paper explores serendipity in the context of everyday-life by analyzing naturally occurring accounts of chance encounters in blogs. We constructed 44 queries related to accidental encounters to retrieve accounts from GoogleBlog. From among the returned results, we selected 56 accounts that provided a rich description including a mention of an accidental find and a fortuitous outcome. We employed grounded theory to identify facets of serendipity and to explore their inter-connections. Based on the literature and the data analysis, we developed a model in which the find brings together all the facets of the serendipitous encounter: a) a person with a prepared mind realizes the relevance of the find; b) there is an act of noticing involved in discovering the find; c) the find is what people encounter by chance; d) what leads to a fortuitous outcome is the find, and e) the find is the essence of the re-telling of the story, which involves reframing the encounter with the find as serendipitous. 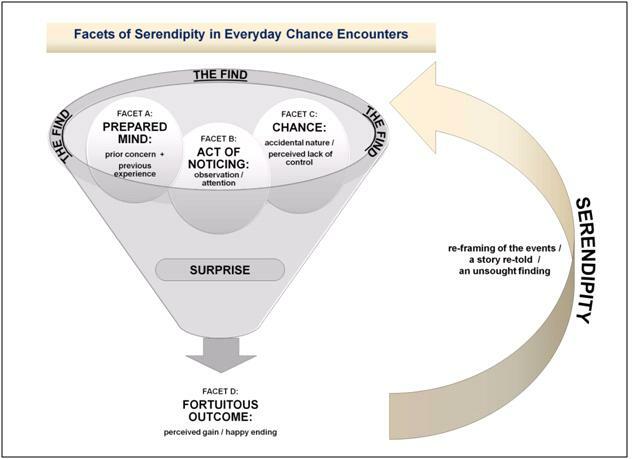 Understanding everyday serendipity will allow for the effective support of serendipity in information technology. Our results suggest information systems should focus on enhancing the facets of noticing and prepared mind. Here is a poster presentation outlining some of our initial findings. Most research looking at Social Network Sites tends to focus on how they support the creation and maintenance of social relationships. 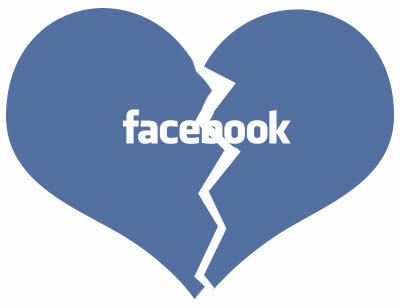 However, much less research has examined the dissolution of social relationships. In this project, Veronika Lukacs (Master student in Media Studies) and Anabel Quan-Haase examine how the dissolution unfolds in social media environments. Collaborator: Veronika Lukacs, Andrew Nevin. 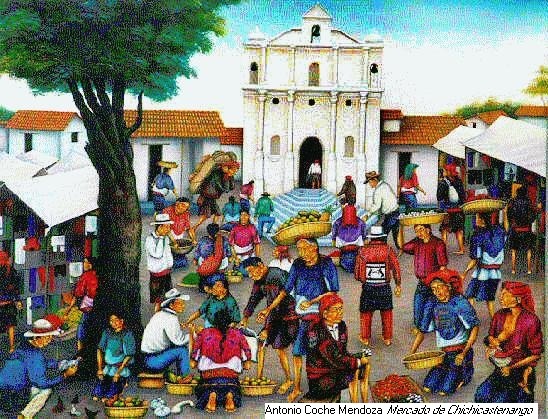 The project, “The Hispanic Baroque: Complexity in the first Atlantic culture”, is the fruit of efforts of a group of 35 researchers from universities in different countries (Canada, Spain, Mexico, Australia, England, Bolivia and the United States) from different disciplines (Literary Studies, History, Sociology, Fine Art, Music & Musicology, Anthropology, Geography, Computer Science, Architecture & Mathematics). Over the next seven years, the team will study the origin, evolution, transmission and effectiveness of the baroque patterns of behaviour and representation in the Hispanic world. The project is financed by the Social Sciences and Humanities Research Council of Canada, by way of a Major Collaborative Research Initiatives grant totaling $2.5 million. With the contributions of the partners, the budget approaches $4 million. The group that our research is most closely linked to is the Conflicting Identities group. A brief overview of the research progress thusfar can be viewed in Yutzu. Collaborators: Dr. Juan Luis Suárez (University of Western Ontario), Dr. Jesús Pérez-Magallón (McGill University), Kim Martin (University of Western Ontario) and others.